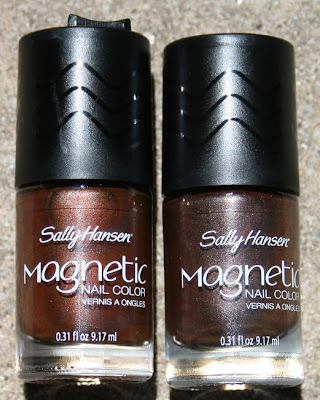 I was so excited to get a few more shades from the Sally Hansen Magnetic Nail Color collection to try. 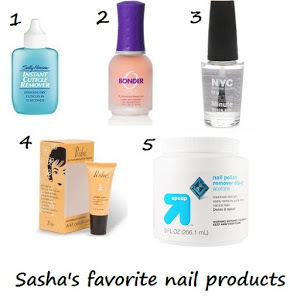 I noticed that several pairings looked somewhat similar in the bottle and I was interested to see how different they looked on the nail. 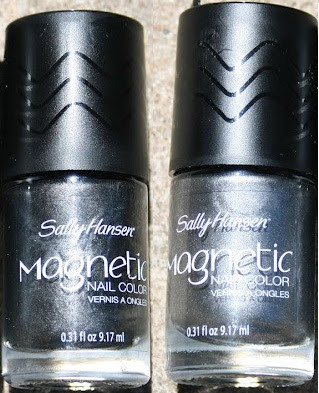 So even though these shades appeared similar in the bottle, the effects were very different on the nail, especially once the magnet was applied. 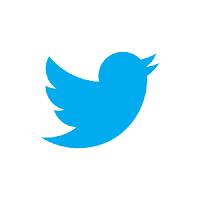 As I said yesterday, I found the magnet pretty easy to use right off the bat and didn't have any problems with it. 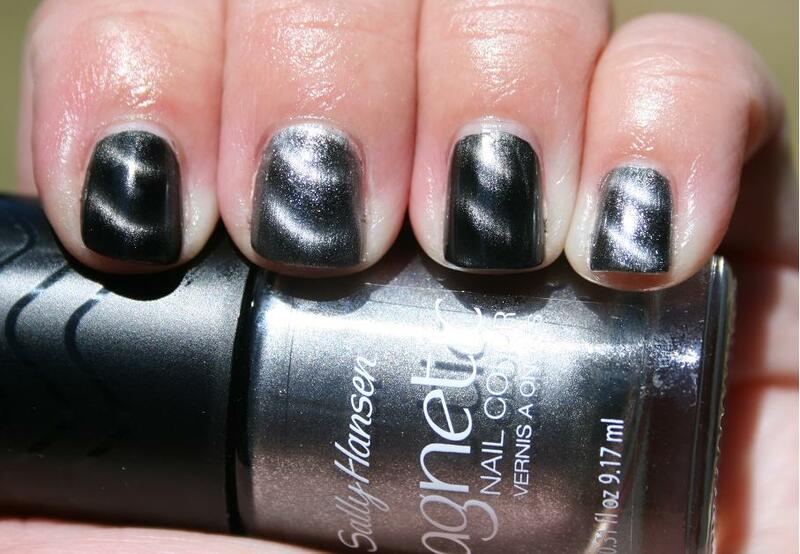 My nails are quite curved, so the design doesn't quite go to the edges of my nails since the magnet can't reach the sides, but I totally don't mind. I still think it's looks fabulous. 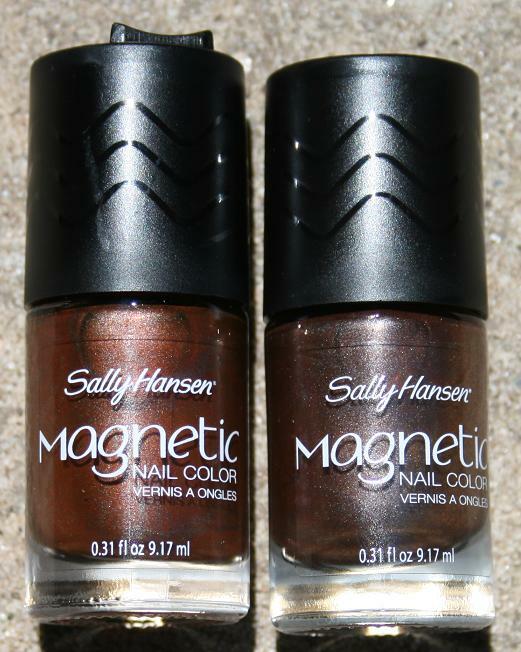 Disclosure: These four shades were sent to me for review purposes. 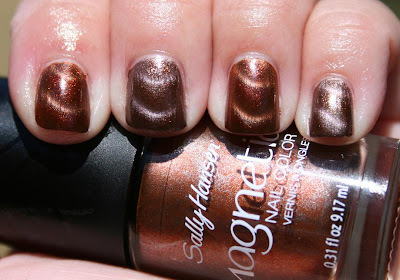 I haven't tried magnetic polish yet ... the copper and golden ones look gorgeous!! I would totally wear them in the fall! !